The Forex trading is risky enough, so professional traders use various tools to analyze the situation on the market. The Jurik's Moving Average is one of the favorite programs. Mark Jurik developed the Jurik's Moving Average (JMA) in 1998. 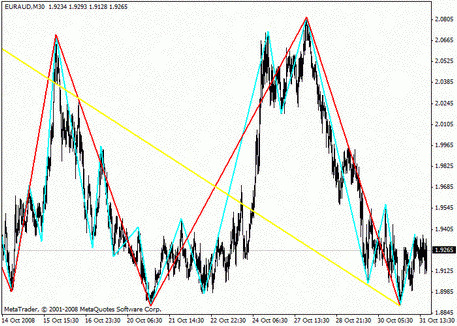 This program allows traders to produce an accurate technical analysis of the Forex market. The JMA is a modern version of the adaptive moving average. How is the JMA calculated? 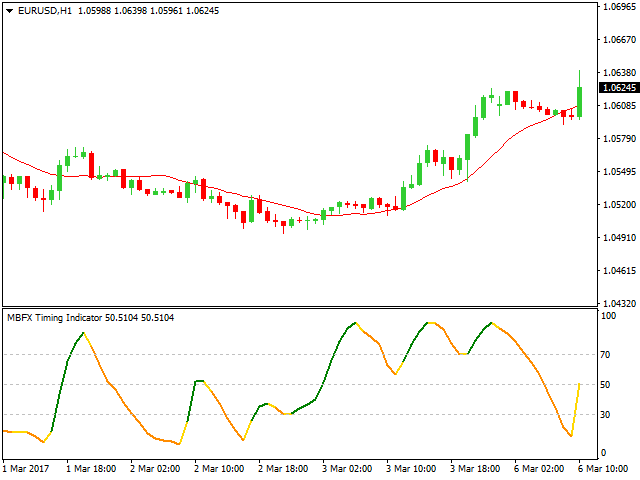 The Jurik's Moving Average has two parameters, which is the indicator phase and its length. The phase of the indicator helps to maintain a balance between the two fundamental properties of the JMA indicator: it's a lag and ability to move through the price range. The minimum delay level is -100, the maximum level is 100. The length parameter determines the smoothing degree of the indicator. Due to the small values of such a parameter, the JMA responds to price changes in time. If the indications are high, the smoothening level of the indicator increases. Typical values are in the range from 3 to 80. The values can also be fractional. 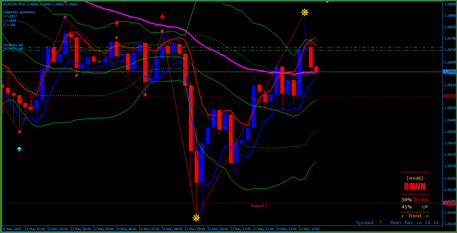 The indicator is used successfully trading on the 2 JMA System strategy. The program is convenient with the EUR/USD currency pair on a 15-minute interval. The work on the H1 range is usually made before the trade starts, which helps determine the resistance and support levels correctly. Analyzing, one needs to consider the recent trend. 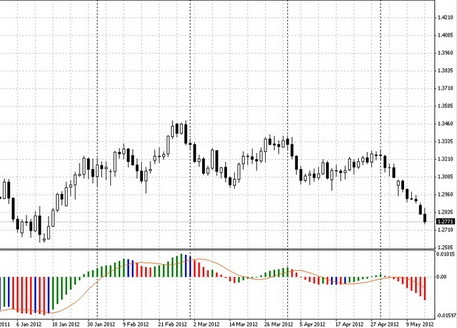 If you examine the trend, which is leading in Forex at the moment, then you will get a profit. How does the JMA work? Working with the Jurik's Moving Average, you can install 2 JMAs at once. The red line that you see on the screen is a fast JMA line, and the blue line is a slow one. Let's consider the work of the indicator as an example. You set a red line with a period of 40 and a blue line with a period of 80. The trade positions must be opened in the direction of both lines. The purchase is made at a time when the fast line is located over the slow one, and the sale is made when the blue JMA is on top. 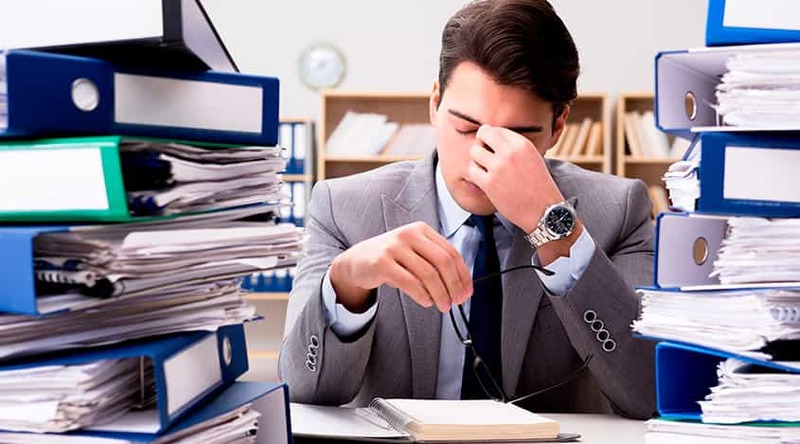 If you work in the morning hours, then open a deal immediately after a rollback to a slow line happened. In other words, the stock price should be closed at a maximum distance of 15 points from the slow line, either higher or lower the JMA. If you cannot determine the prevailing trend on the stock exchange, then wait for the moment when the slow blue JMA breaks through the red one. When this happens, open the position after closing the seventh candle (the candle on the level both lines intersect at, is not considered). If the slope of the indicator line is significant, then you can open the trading position a little earlier - at the 5th candle or at the moment when the price is located at a distance of 10 points of the fast red line. If you notice the intersection of lines after 09:00 GMT, then open the trading position after the candle closes, at the level where the lines collided. If the distance between the stock price and the red line is more than 25 points, then wait for the rollback and enter the trading position at the moment when the lines intersect again. Now consider the work with a Stop Loss. Suppose it equals 30. Set the Take Profit value to 60 points or higher. At the moment when the trading position is opened, install a pending reversal order. It can minimize the risk of possible losses working with a single transaction. The opening price should be equal to the Stop Loss indicator of the initial operation. When the Stop Loss is 30, the Take Profit should be at the level of 70 or more. If you notice that the profit still accumulates, then cancel the pending order, or set the Stop Loss of the 1st transaction at a level of 0. If you receive a benefit at the levels from 30 to 49, then move the Stop Loss of the very first deal 5 points higher. If the profit exceeded 50 points, the Stop Loss level should be increased by 10 points, and so on. 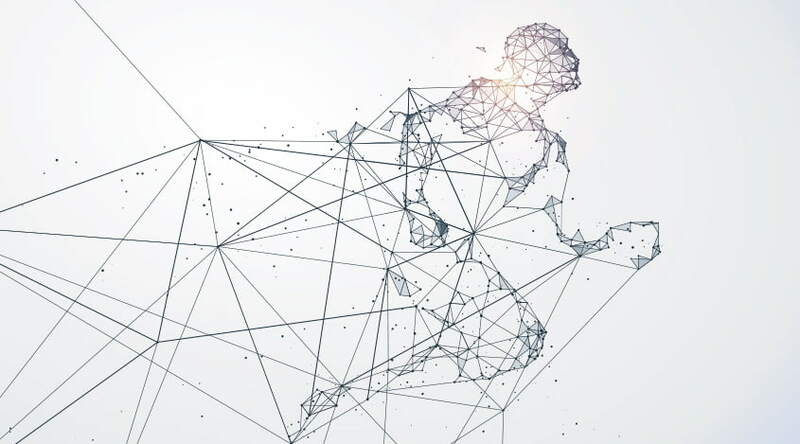 The most significant advantage of the JMA is that the work of the tool is smoothed, which allows you to analyze the situation on the market quickly. 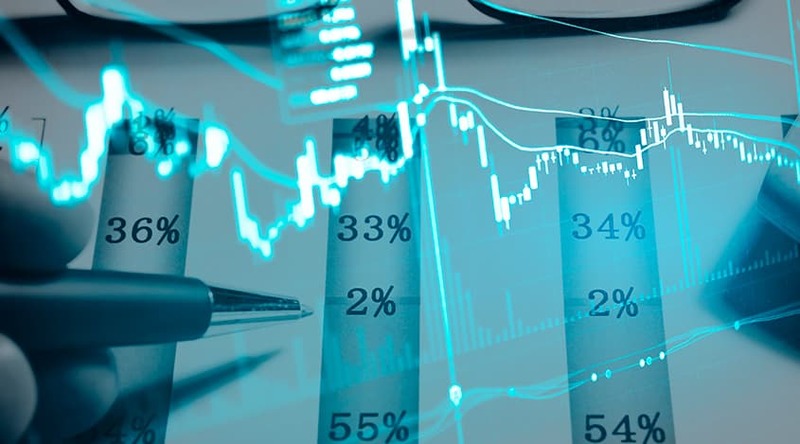 The program fixes all the price changes in time, so it's often used by traders, who consider the high accuracy of the trading signals quite important. Most other indicators (such as Kaufman, Kalman, Savitsky, etc.) are inferior to the JMA due to these characteristics. The JMA indicator reduces the possibility of moving through the price range at the stage of the trend reversal. Unlike the other indicators, the JMA will never give false signals when the market turns sharply. All the price changes are tracked quickly and on time. Working with the Jurik's Moving Average program, pay attention to the following point: if you opened a trading position and make a profit for about two days, at the end of this period it's better to close the trading position manually to keep the advantage. The situation on the Forex can change anytime. Also, it will be most profitable to work with the JMA from 5:30 to 14.00 GMT. As you can see, it's easy to cooperate with the JMA indicator. Download the program and start earning right now. Follow the instructions, and you will reach the success!